With frame width and mounting base dimensions suited for limited-space work environments, N700 Series can attach onto trucks and overhead cranes as well as insideÂ facilities onÂ wall, column, ceiling, or floor. Spring rewind featureÂ conserves time and effort by facilitating pickup and storage, whileÂ non-sparking ratchet assembly unit promotes safe operation in hazardous areas. 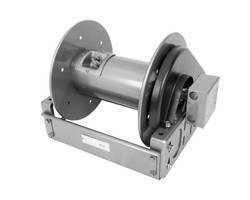 Engineered to streamline industrial applications, reel handles Â¼–Â½ in. 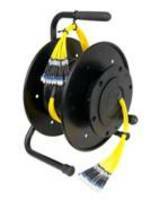 ID hose and includesÂ declutching arbor. 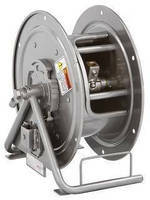 Specially engineered to streamline assembly operations, lubrication, washdown, air/water transfer and a wide variety of industrial applications, Hannay Reels N700 Series hose reel has a narrow frame and compact mounting base for use in limited-space work environments. 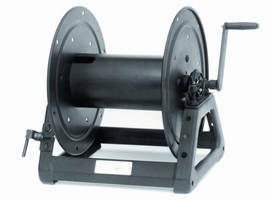 The reel can conveniently attach on to trucks and overhead cranes or inside a facility on a wall, column, ceiling, or floor. The unit handles 1/4-inch through 1/2-inch I.D. 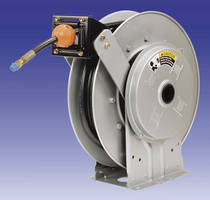 hose and includes a declutching arbor to prevent against damage during reverse winding. Ranges in standard pressures from 3000 psi (207 bar) to 10,000 psi (690) bar and temperatures from -60ºF to 250ºF (-51ºF to 121ºC).